Chinese President Xi Jinping started 2018 as he ended 2017, demonstrating to all 80+ million Chinese Communist Party members that he is demanding absolute loyalty. 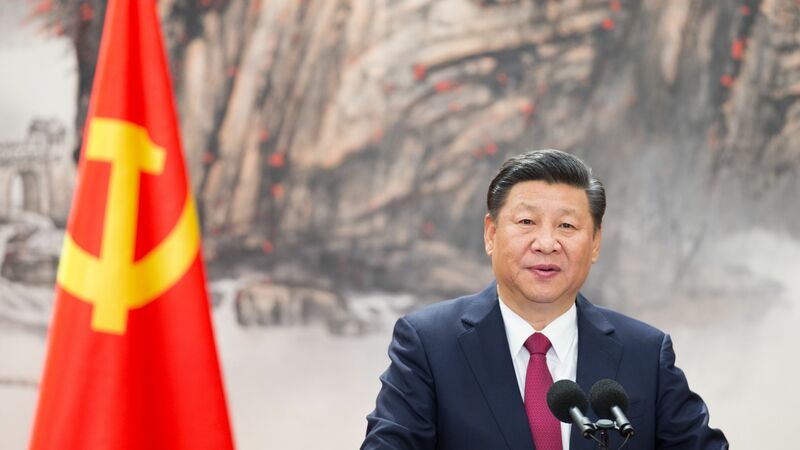 Why it matters: Politics are still very much in command in the Xi era, and the focus on Party loyalty and political correctness is about ensuring regime security and improving the implementation of central government policies through all levels of the bureaucracy. If Xi succeeds, we may see a much higher functioning PRC government that is able to execute on many of its ambitions goals. On January 5, he opened a three day study workshop for newly-elected members and alternate members of the CPC Central Committee and provincial and ministerial-level officials. His important "January 5 speech" is now the subject of a growing nationwide study campaign. On January 11, Xi kicked off the Second Plenary session of the Central Commission for Discipline Inspection (CCDI), the Communist Party body whose mission is not only fighting corruption but also enforcing ideological, political and policy discipline among officials. Xi emphasized that party officials should "always be reliable, align themselves to the Party's central leadership in thinking and deeds, follow the Party's instructions and fulfill their responsibilities." He stressed the importance of the party's political work in realizing "the absolute upholding of the authority of the CPC Central Committee and its centralized, unified leadership." "We cannot indulge ourselves in empty talk without working for the cause of socialism with Chinese characteristics and national rejuvenation. We can neither afford to lose the grand vision because realizing Communism is a long process," he said. What's next: On January 18–19, the Communist Party Central Committee will hold the second Plenum of the 19th Party Congress. The biggest expected outcome of that meeting is a proposal to revise the Constitution to incorporate the planned National Supervisory Commission that will enhance the scope and powers of anti-corruption efforts. The big question: It has long been assumed in Western business and policy circles that the Chinese leaders are not really Marxists and this talk of Communism is empty. What if Xi actually believes in it?